If you want to update your existing users roles and grouping structures you can import new groupings and remove the existing groups, groups as a coach and roles that the users are currently in. To do this you need to set up a spreadsheet with the users details and new grouping structures and follow the steps below. 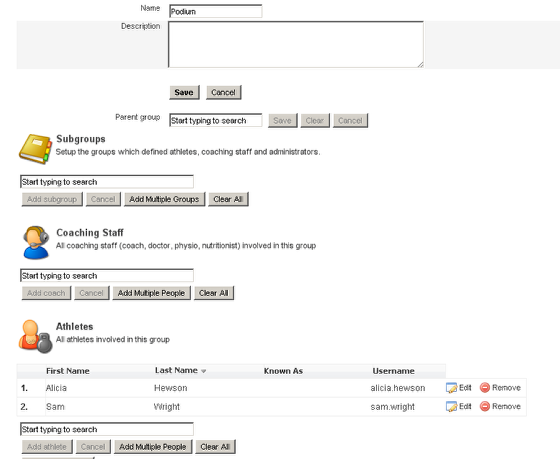 If you do not have these users exact details or you use different details, the athletes/coach groups/roles that you import either won't import, or the users will be imported as new users. Map the new Groups, Groups as a Coach and Roles over correctly. Tick the "Remove Existing?" 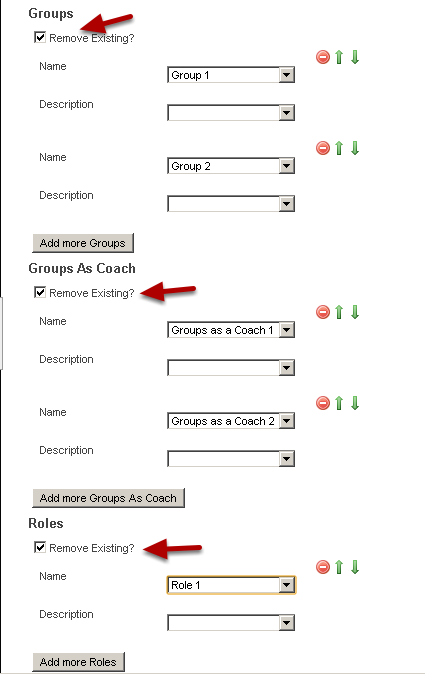 box if you want to remove the existing groups/roles or groups as a coach that the users are currently in. 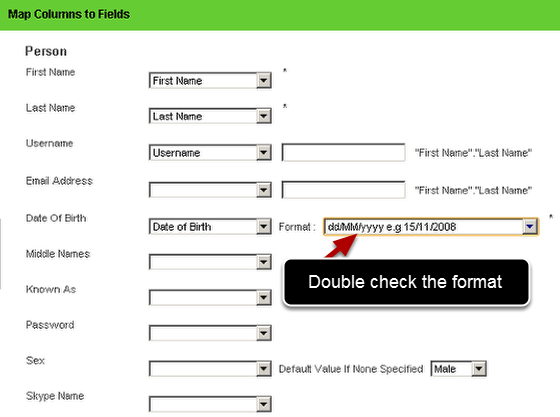 Double check your date format and field mapping against the file contents shown at the bottom of the page. Click "Next"
Read the Import Success Page and see what the results of the import are. The example here shows that the Users were NOT imported as a new user (which is what needed to happen as you are only updating the users, NOT importing new ones). The results also show that the username alicia.hewson was added to the Funding C as an athlete, the Podium group as an athlete and the Development Athlete group as an athlete, which means the import was a success. The image below shows the athletes that were removed from their existing groups and added to the Podium group. Open up a Group see how the list has been updated. Go to the groups page and open up a group that you have imported the users into to see how the groups have changed.